Book your conference hotel room now! Click here to book your hotel room for LKNA19. Attending both Lean Kanban North America and the Kanban Leadership Retreat? The venue for the Kanban Leadership Retreat this year is Morrison House. Each Kanban Leadership Retreat registration includes a hotel room booking for 3 nights. Reserve the nights you want to stay during the Lean Kanban North America conference which runs May 13-15. Hotel nights during Lean Kanban North America conference are not bundled with conference registration. For example, you may want to book the nights of May 12,13 and 14. All Kanban Leadership Retreat attendees will have the nights of May 15,16 and 17 automatically reserved for them at the Morrison House. You do not have to reserve those nights. Because the Kanban Leadership Retreat has evening sessions and dinner on Friday, May 17th, that night is provided at the hotel. If you will fly out very late on Friday and you do not need the third night at the hotel, please let us know. Sorry, it is not possible to shift the KLR hotel nights to different dates or different hotels. If you want to extend your stay in Alexandria and book additional nights after the Kanban Leadership Retreat or before the Lean Kanban North America conference starts, you should reserve those nights directly with the hotel. 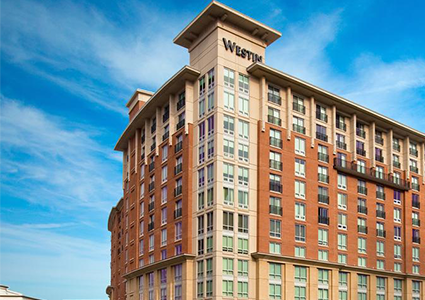 The Westin Alexandria is the ideal home for your visit to the National Capital Region. You'll find the hotel just steps away from the U.S. Patent and Trademark Office; Ronald Reagan National Airport and Washington, D.C. are both within easy reach. The boutiques and attractions of Old Town Alexandria beckon, as do historic Mount Vernon and the National Harbor. Fuel up with a healthy meal at Trademark Drink and Eat, or relax with in-room dining. The hotel also offers the WestinWORKOUT® Fitness Studio. Only Valet parking is available on-site. 6'8" is height limit. 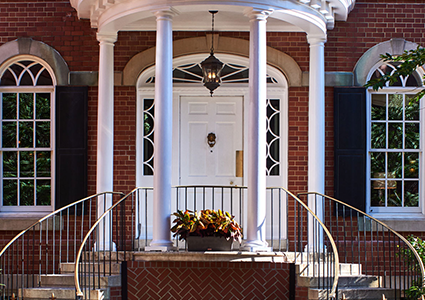 A rich literary heritage permeates Morrison House, built in the style of a Federalist mansion that blends into the surrounding historic Old Town neighborhood.